Because everybody wants a bright and well-ventilated home. A lot of homeowners ask us how to make their homes well-lit and ventilated home without consuming much electricity. Today, we answer that question. In this practical series, we give you a detailed guide on how to achieve good lighting and ventilation in your home. 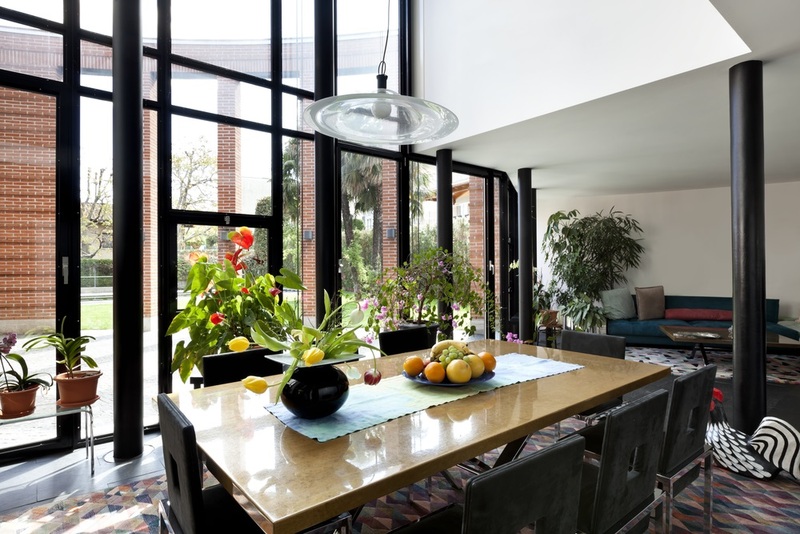 Natural lighting and ventilation are essential to your home’s design. When you design your home to maximise the available sunlight and cooling breezes, you will feel comfortable all year around. Above all, you will cut the costs of running your home now and in the future. To make everything easier, we prepared this short yet detailed checklist. Mind these when planning for your renovation or new building project. 🗸 Consider raked ceilings for it makes room for clerestory windows. 🗸 If the possible, place operable windows diagonally opposite each other. It will create a difference in air pressure and will support airflow (even on still days). 🗸 Install glass louvres and open them to allow fresh air to flow into the room. 🗸 Position windows in a way that catches the cooling summer breeze. 🗸 Use outdoor shades like timber battens or metal louvres to regulate the amount of light that enters your home and to control glare. 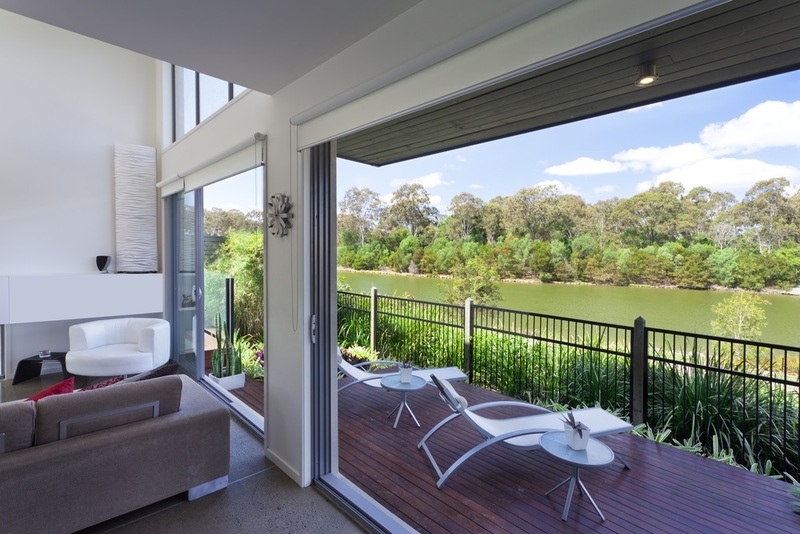 🗸 Put full-width glazed sliding doors in your living area that opens to an outdoor area. Open it to extend and cool the interior space. To keep flies and mosquitoes (and other insects) out, use retractable screens. In a previous blog, we tackled evaporative cooling. It happens when water absorbs heat and evaporates, pushing cool air into your home. This phenomenon is the reason why homes are cooler when built near a body of water (ocean, river, lake etc.). No worries. You don’t need to build a waterfront home to make this happen. Adding an artificial pond, pool, or any outdoor water feature will give you the same effect. Put them near or adjacent to your living room windows to draw in cooling breezes. Apart from an outdoor water feature, we also recommend growing a lot of plants in your landscape. Plants transpire (evaporation of water from leaves) and it helps cool the air before it enters your home. They also filter the air that comes inside your home. 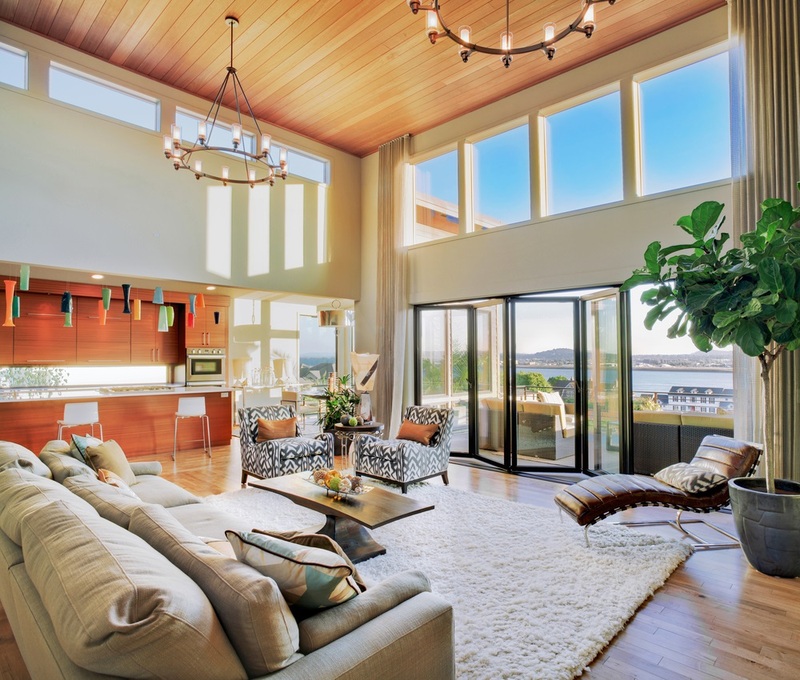 Your windows, when not put on the right place, can absorb and release a considerable amount of warmth in your home. Nobody wants this — it’s a waste of money! It is imperative to get the number and location of windows right. Take the north, east, west, and south directions of your home. Normally, we place living rooms (or family rooms) in the northern part of the house. 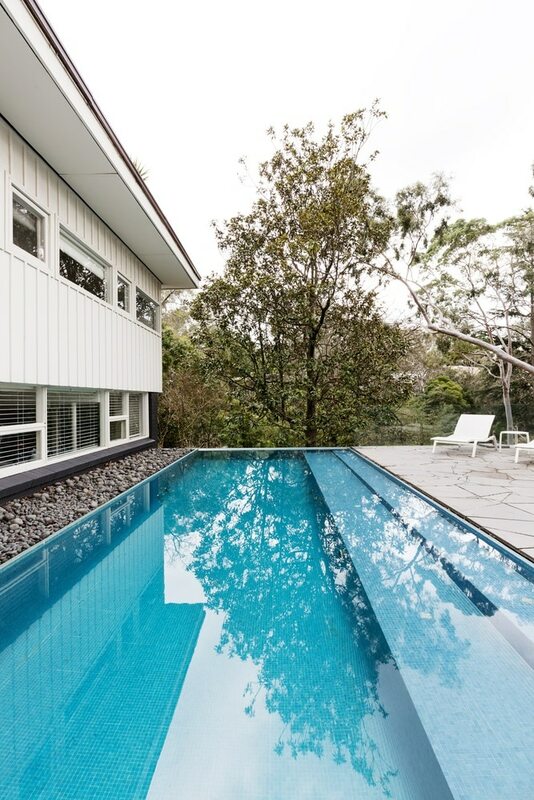 You want this place warm in the winter, thus you have to maximise glazing in this direction. 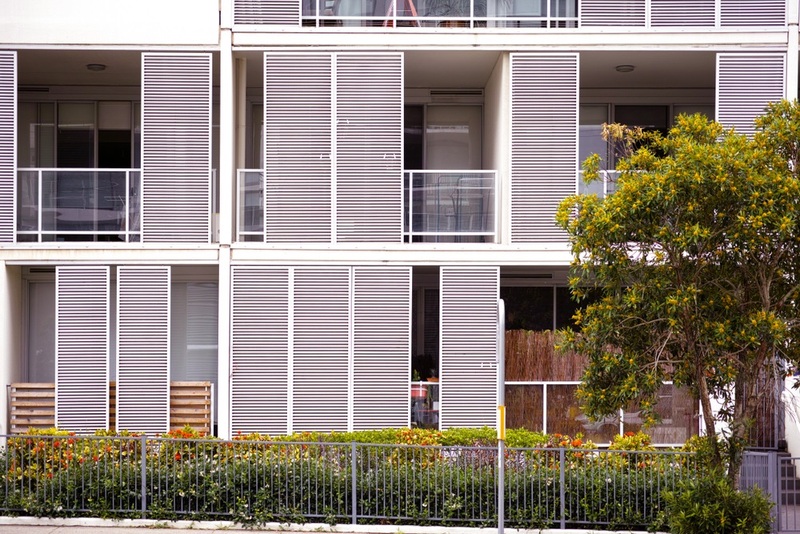 In summer, use a lot of external or internal shading to block the harsh summer sun. Don’t let the glass absorb heat or else you will feel an increase in indoor temperature. The southern part of the house doesn’t receive light at all so, install a few small windows here to avoid heat loss. On the other hand, the sun’s rays always hit the eastern and western part of your home at a low angle. We recommend catching the morning sun with small windows on the east. Do not put windows on the west because the afternoon sun is still too hot and can cause overheating. It starts with choosing the building materials that will brighten and warm up the room, not darken it. You see, materials have different colours, textures and densities. These qualities affect our perception of light, airflow, and generally how comfortable the room feels. For example, pale walls (not just white paint) reflect natural light, which is why light-coloured rooms look more spacious. Timber (real or veneer) possesses a natural warmth that makes a room cozy. Brick, on the other hand, offers depth and texture. The material also has a good thermal mass, meaning it can help regulate your home’s indoor temperature. Are you thinking of renovating to get good lighting and ventilation? Which of these ideas do you think can work with you. Tell us in the comments below! Follow us on Facebook, Instagram, and LinkedIn. Hire sustainability experts and building designers in Perth. Get a FREE Consultation and Quote. Feel free to give us a call today at 1300 936 740 or click the button next to this.